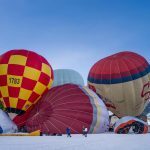 The international hot air balloon festival runs from the 27 January to the 4 February 2018 in the picturesque pre-Alpine town of Chateau d’Oex in Vaud, Switzerland. 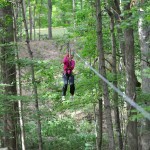 This year is the event’s 40th anniversary. 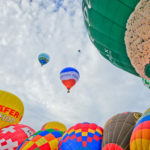 The 9-day festival, which brings together pilots from around twenty different countries and nearly a hundred hot air balloons, includes a night-time show, hot air balloon rides and a kids’ day. Wednesday afternoon, 31 January is dedicated to children. Chateau d’Oex has a winter microclimate particularly suited to flying hot air balloons. 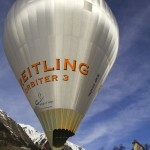 It is also the departure point of the Breitling Orbiter, a balloon that was the first to circumnavigate the globe in 1999. Piloted by Bertrand Piccard and Brian Jones, the balloon bet Richard Branson to the prize – he had tried and failed. Piccard is known for his solar-powered flight around the planet, completed in 2016. This year the night time light display will be on Friday 2 February. Tickets: Saturday and Sunday: CHF 15 (free if under 16), Wednesday afternoon: CHF 5 (free is under 16) – more on prices.